There are some books which sell well and some that don’t. 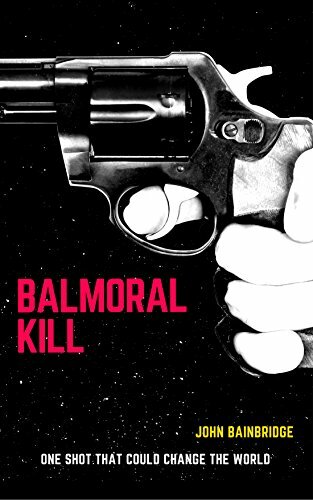 I’m fortunate with my sales, but my thriller Balmoral Kill never does as well as the others – even though it’s had generally good reviews and readers have said some very nice things about the book. Which is a pity for me for Balmoral Kill is my favourite of all the books I’ve written. Not that I don’t like the William Quest and Robin Hood stories. I’m proud of them. But Balmoral Kill is my tribute to the thrillers I used to read when I was young, my homage to writers like John Buchan and Geoffrey Household. Moreover, the book is my love-letter to the Scottish Highlands, which provides much of its setting. So why doesn’t it work for a wider readership in the way William Quest etc. does? Well, I suppose it is a tad old-fashioned. The trend for thrillers is for up to date stories with modern threats like ISIS, where the heroes live on their cellphones and computers and technology are all. Or psychological tales where the (usually) heroine is both in physical and mental peril. Balmoral Kill is set in the 1930s, when the world was tumbling towards World War Two. My hero, Sean Miller, has no modern technology, just a gun and his own coolness and ingenuity. Miller is an assassin who works on the basic concept that there is good and there is evil. For all his flaws – and they are legion – Sean Miller’s on the side of the good, fighting against individuals and countries who seek to add to the sum total of the nastiness in the world. And in the late 1930s, the decision as to which side you were on was pretty clear-cut. These are old-fashioned virtues and, despite what I’ve said, Miller does have a dark side. But at the end of the day you’d want him (I hope) on your team. Sean Miller is quite an old-fashioned hero. But perhaps the day of the good and old-fashioned hero is over? Although I’m writing the next William Quest adventure at the moment, I’m also working on a sequel to Balmoral Kill. It won’t be out until late next year, but it’s on the way. So what do you think? Do you believe there’s a place for the simplistic old-fashioned thriller? I was saddened to hear of the death of the actor Robert Hardy. Robert Hardy was, of course, not only a considerable actor but a leading authority on the longbow – he penned an excellent book on the subject, which I referred to a great deal when writing my Robin Hood novels. His writings on the subject were both erudite and very readable. I owe him a great deal. His performance as Prince Hal and then Henry V, reinforced in me the great love of Shakespeare that I’d inherited from my father. Even as a very small boy I fell under the spell of Mr Hardy’s portrayal. I’ve never forgotten it. Robert Hardy became a very great character actor, though mostly on television. There are a lot of memorable performances. If I had to pick one I’d go for his role as the Master Blackmailer Charles Augustus Milverton in the Jeremy Brett Sherlock Holmes. Try and seek out that episode – watch how Hardy brings a mixture of malevolence and cunning to the role, glaring hatefully through a pair of spectacles out at the world. Robert Hardy treated every role as an acting challenge, never selling a writer or producer short. Utterly professional in every way. His performances on stage became the stuff of theatrical legend. We are fortunate that we have a record of at least some of his work in film and television.